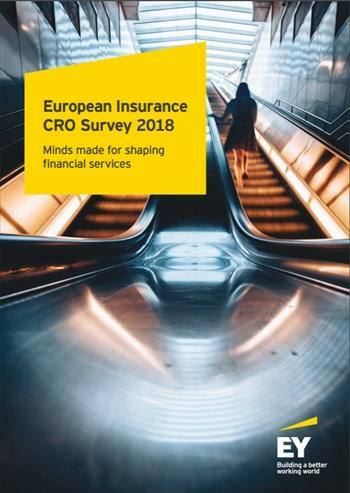 This European Insurance CRO Survey 2018 highlights the key views expressed by chief risk officers (CROs) of larger insurance companies across the region. It aims to provide a succinct and targeted perspective of the current and future risk trends and issues impacting the insurance industry in these countries. Survey samples include a diverse mix (both in size and products) of life and non-life insurance companies that benefit from an established presence in both traditional and non-traditional lines of business. This EMEIA survey complements past findings from other EY research, developed through engagement with the largest life and non-life insurance groups operating across Europe. For five of the larger companies, interviews were held with CROs operating in two different countries. EY professionals are grateful to the CROs and organizations that contributed to this survey and appreciate their insights into these complex topics.